Montana miner is back to work. We were contacted by a miner in Montana a few months ago. He had been denied and delayed on his Plan of Operations for 3 1/2 years by the Forest Service. AMRA stepped in, represented the miner and after one meeting with the USFS we got his access back (there was a gate) and his PoO approved. The USFS WAS cooperative, but it most certainly helps when you know the law and their own regulatory manual better than they do. Congratulations Mr. Hays, go get your gold now. 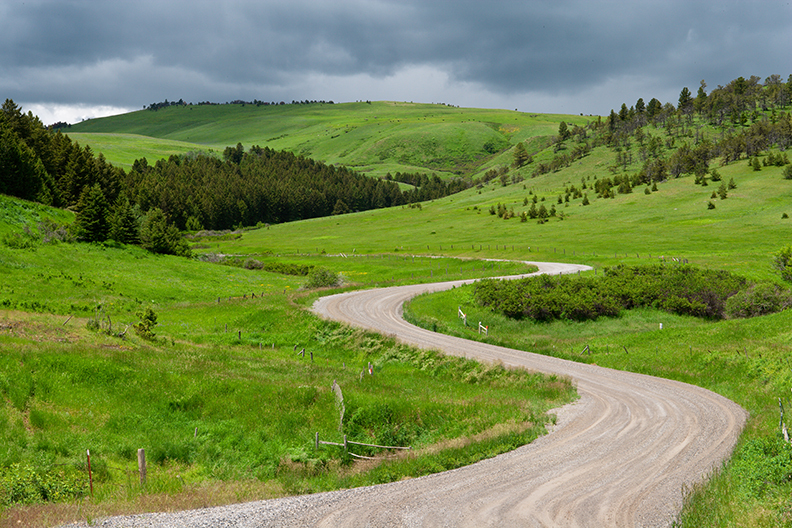 Image of a country road winding through the hills of Montana.